Choose a page number to visit the recommended websites for this book. London's history from thousands of years before the Romans invaded up to the present day. Scroll down and click on "View Slideshow". Packed with information on landmarks, culture, transport, shopping and more, with entertaining anecdotes on London’s most famous attractions. 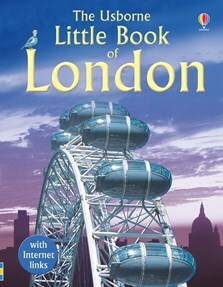 Includes a sightseeing map of central London, aerial photographs and cutaway illustrations. With over 100 internet links to recommended websites to find out more, this is the ideal companion when visiting the capital.